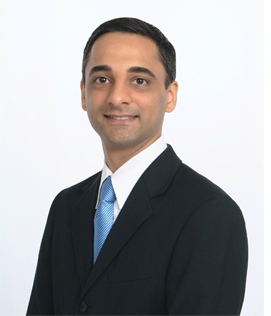 Mr. Suthar is an associate at Fiala & Weaver P.L.L.C. He is a registered patent attorney and works on patent preparation and prosecution. Prior to joining Fiala & Weaver, Mr. Suthar was an attorney with Barnes & Thornburg and Alston & Bird LLP, where he represented clients before various federal district courts and the U.S. International Trade Commission in patent litigation from discovery through trial. He has experience working on matters covering complex technologies, such as semiconductors, electronics and wireless communications. In addition, Mr. Suthar also has experience defending clients in several appeals before the Court of Appeals for the Federal Circuit. Mr. Suthar has also drafted covered business method and inter partes review petitions for the U.S. Patent and Trademark Office, as well as amicus curiae briefs for the Court of Appeals for the Federal Circuit and the U.S. Supreme Court. Mr. Suthar earned his B.S. in electrical engineering from the University of Maryland. After college, Mr. Suthar worked as a patent examiner for the U.S. Patent and Trademark Office. His work there focused on inventions related to photography, illumination, optics and support mechanisms. Mr. Suthar earned his J.D., from the University of Georgia School of Law, where he served as a notes editor for the Journal of Intellectual Property Law.